The next clear opportunity was one of mediocre and somewhat variable transparency. 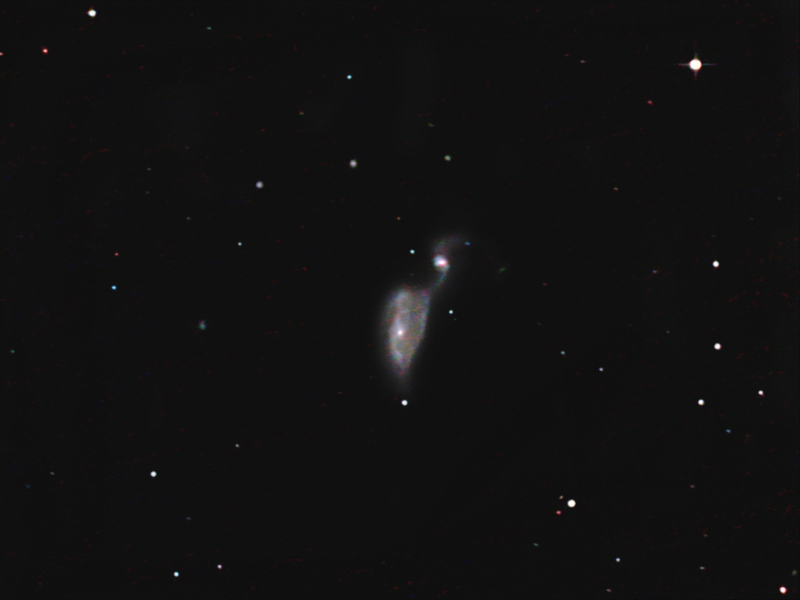 I made an attempt at the interacting galaxies NGC 5395 & NGC 5394 in Canes Venatici. 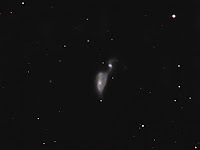 For obvious reasons the pair are known as "The Heron"(Arp 84). The larger galaxy NGC 5395 was the site of a supernova in 2000. Given the conditions I was quite pleased with the final image. Details: 10" f4.3 Newt. 15x 10minute exposures @ iso1600 with CLS in DSS, FIV, CS2 & XAT.